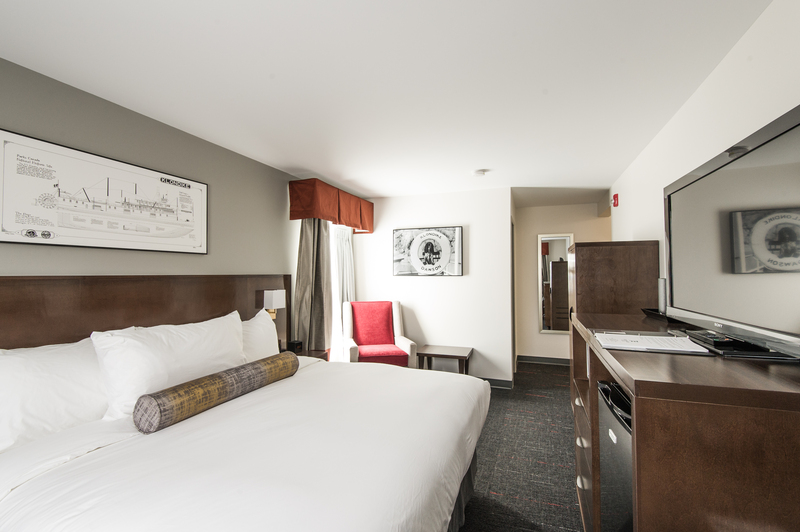 The Edgewater Hotel is the Yukon’s premier boutique hotel that combines sophistication and modern amenities with first class service and the personalized comforts of home. After a multi-million dollar renovation, the Edgewater Hotel offers enhanced services and amenities such as complimentary turn-down service, complimentary airport shuttle, luxurious Northern Feather bedding, bathrobes and on-site dining. Our distinguished Windsor Boardroom is perfect for a variety of functions, including business meetings, seminars and private dinner parties. Tracing its lineage back to the Klondike Gold Rush, the Edgewater Hotel, overlooking the iconic Yukon River, has a long and colorful history of serving visitors to Whitehorse.